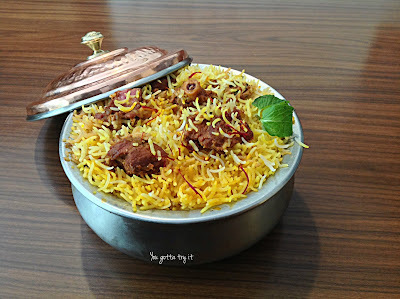 My policy – When you are happy or sad (even if you’re PMSing) ‘eat your favorite biryani. 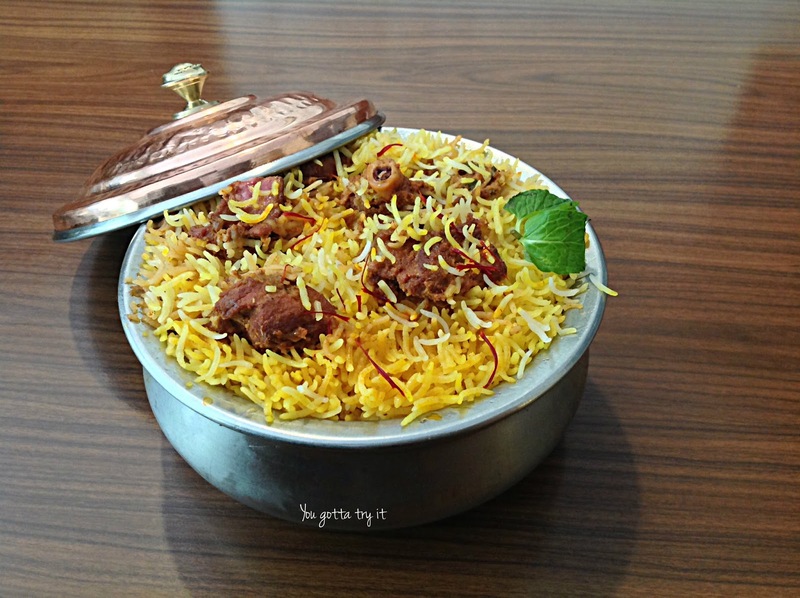 A very well prepared flavorsome biryani needs no special occasion, just make sure that all your senses are ready to dig in. 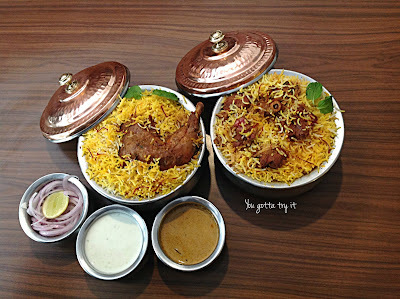 I can go non-stop when it comes to biryani but in short, I would say the best thing Mughals gave to us. There are close to 20 Indian Biriyanis which are very popular and Hyderabadi Biryani is one of most famous ones, accepted beyond the boundaries. 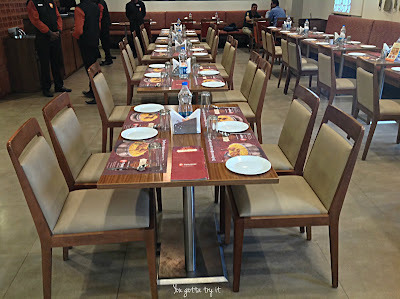 Paradise restaurant is a synonym for Hyderabadi Biryani. This 64-year-old legendary brand has come with an exclusive and interesting ‘Zafrani Biryani Festival’ which will be available throughout the month of March, across all its outlets in Bengaluru. 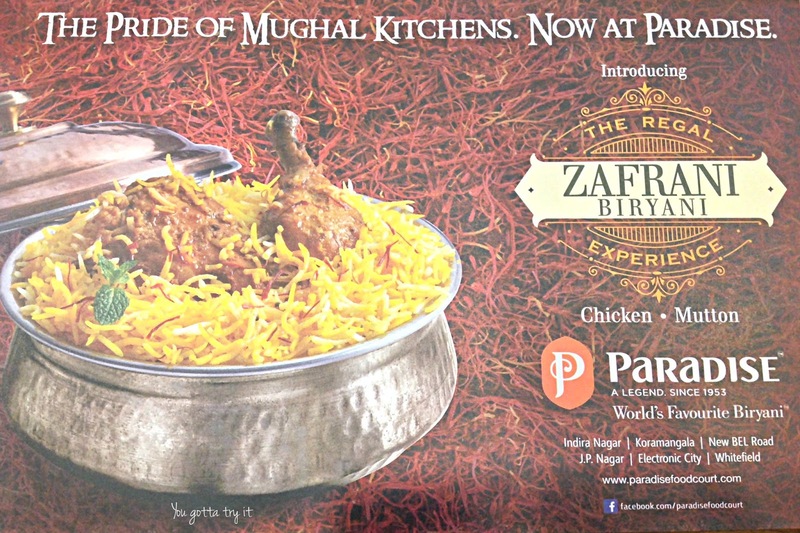 There will be two biryani variants - Zafrani Chicken Biryani and Zafrani Mutton Biryani. 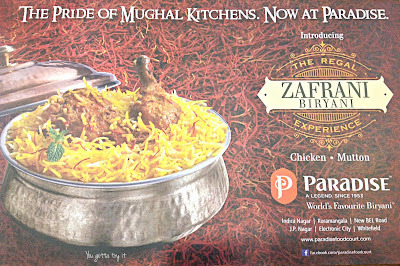 It’s a great initiative by Paradise to create the rare and much-loved cuisine of the Nawabs in the form of Zafrani Biryani. The star of the biryani is the finest quality of saffrons used in it which gives the biryani a wonderful color as well as rich aroma. I was invited for a media preview and was lucky to meet the person behind this wonderful creation – Corporate Chef Vijay Anand Bakshi who gave us a glimpse of this fest. He said, “All our methods to prepare and serve the Zafrani Biryani have been planned down to the minutest of details. From the kitchen to the table, we are confident of delivering the best that we can. 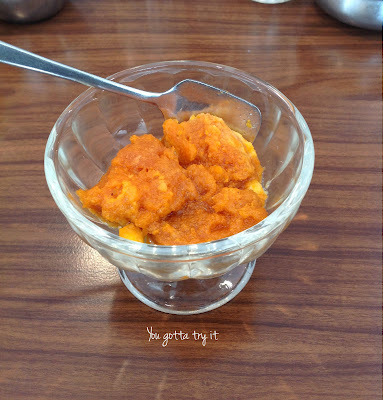 We have identified and sourced each of the ingredients for them to blend so as to give the best flavor and aroma. Our secret ingredient, the saffron has been sourced specially for this festival and yet we have priced our variants at very affordable pricing to ensure that each Biryani lover is able to taste our special offering”. I tried the Zafrani Mutton Biryani first along with some lip-smacking starters like Chicken tikka, Paneer tikka, and Reshmi Kebab. 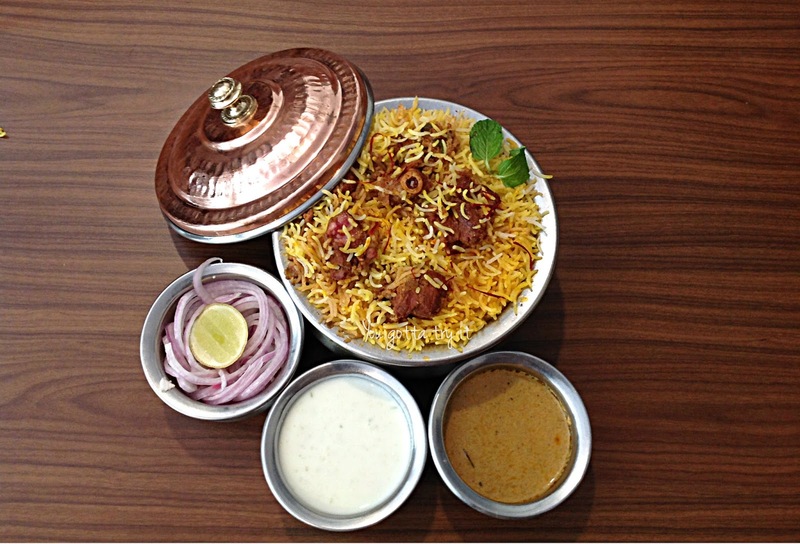 Zafrani Mutton Biryani was cooked to perfection and the meat will just melt in your mouth. As the main ingredient was Saffron it had a rich taste and other minimal ingredients like green chili-ginger-garlic paste gave a slight hint of spiciness. 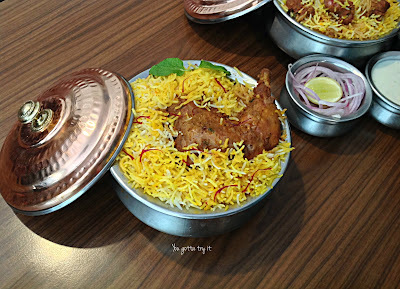 After tasting the Zafrani Mutton Biryani I was patiently waiting to try the Chicken variant. Zafrani Chicken Biryani also didn’t disappoint me; the end result was my plate shined like a mirror :P Among starters I liked the Reshmi Kebab most which was just luscious. 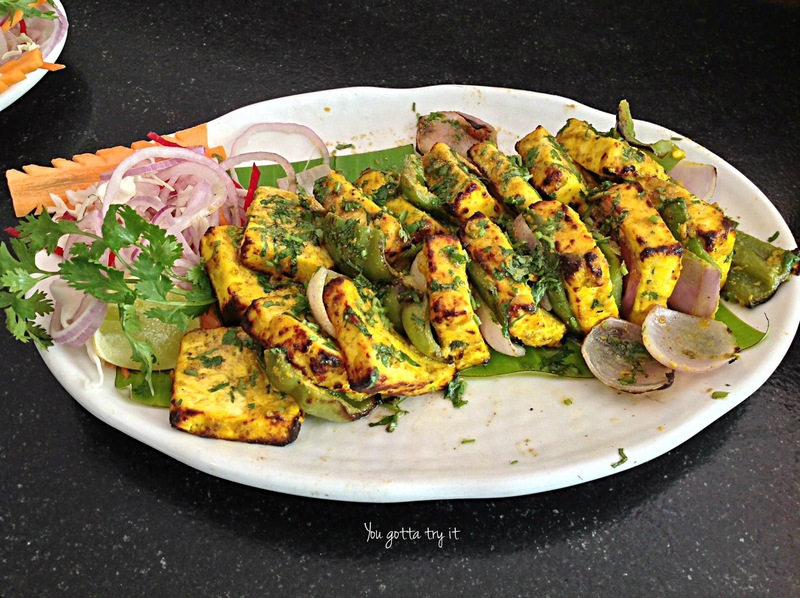 Biriyanis were served with raitha, saalan, and onions. 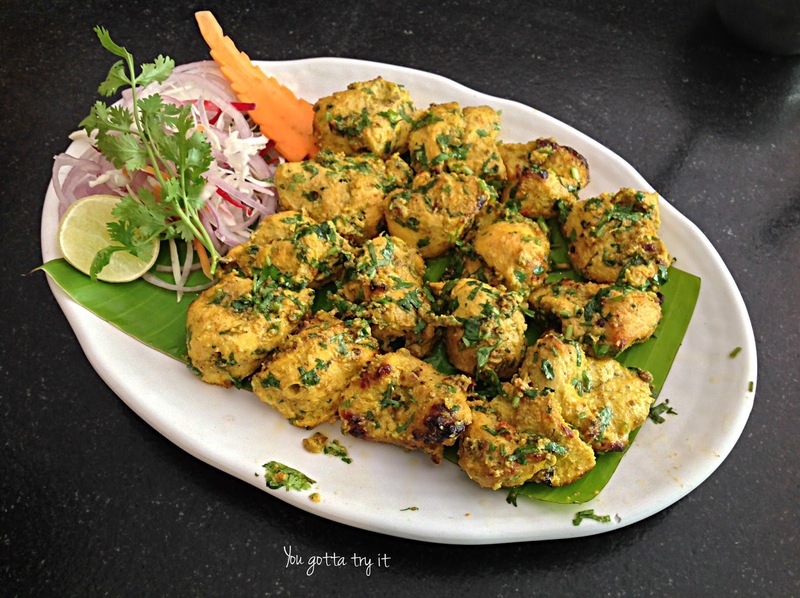 At Paradise, they use a hand-picked variety of ingredients and every Biryani comes out of their kitchen goes through a lot of steps while cooking, including the ‘Dum’ process. Dum is the final stage of Biriyani where Biryani will be slow cooked with a sealed lid (with flour) to prevent the steam coming out. A bed of hot Charcoal will be laid on top of the lid. The whole process of making Biryani itself is an art. 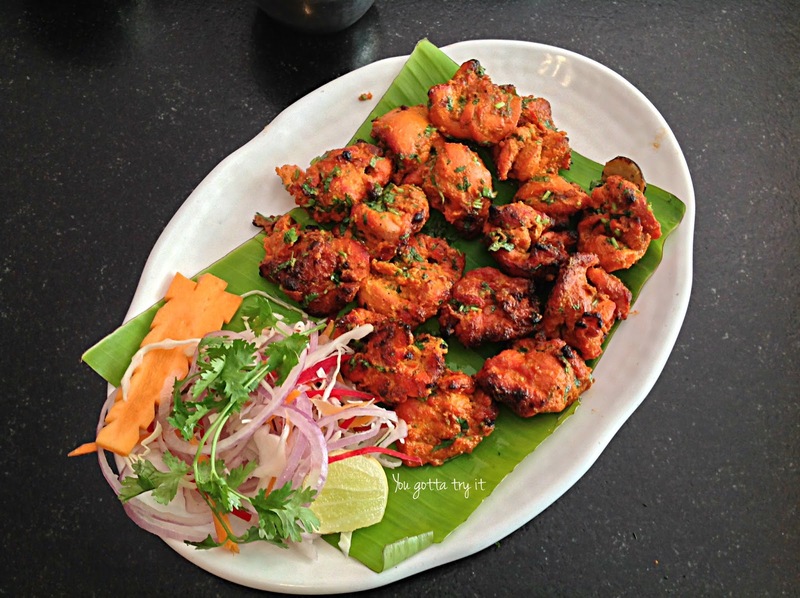 With 18 outlets across South India, the first and famous outlet of Paradise is in Secunderabad which started in 1953. 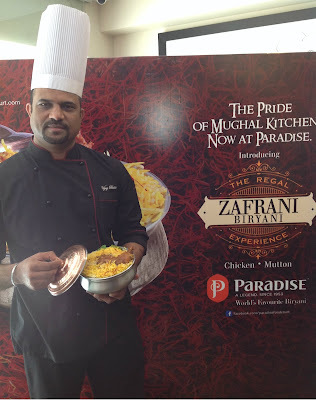 About Zafrani Biryani Festival, Mr. Gautam Gupta, CEO of Paradise restaurant said, ‘While much has changed in terms of people and physical infrastructure in the last 64 years, our core values have remained the same- the philosophy of Paradise to deliver quality and hygienic food at a cost that is affordable for the die-hard Biryani lover. To be able to prepare and serve the food of the royals to all our patrons at Paradise is something we are proud of and look forward to”. 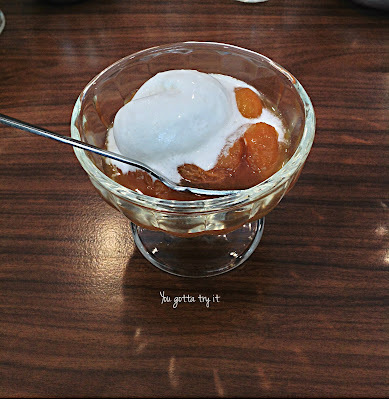 For desserts, I had the ‘Double Ka Meetha’, which is a classic bread pudding with saffron and cardamom along with Qubani Ka Meetha; a Hyderabad special dessert made of stewed apricots. A scoop of Vanilla ice cream made the ‘Qubani Ka Meetha’ more divine. I have made multiple visits to Indiranagar outlet prior to this fest and always been happy with their service. Zafrani Biryani prices are as follows - Zafrani Chicken Biryani (₹ 180) and Zafrani Mutton Biryani (₹ 190). The prices are mentioned exclusive of taxes and charges will vary for takeaway and home delivery. Zafrani Biryani Festival is on till March 31st, 2017.